Welcome to the Faculty Senate of Sam Houston State University. Here at SHSU, the Faculty Senate serves a critical role as an advisory body on matters of general welfare to the University. 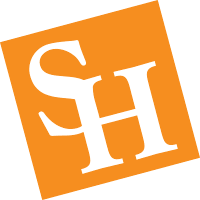 The bimonthly meetings of the Senate bring together 30 Senators drawn from the faculty of the seven SHSU colleges, as well as the Newton Grisham Library. The Faculty Senate is dedicated to examining issues of interest to the entire SHSU community, including the development of the university's core curriculum, review of official university policies, and the administration of the annual Campus Perception Survey. As an advocate for the interests of new and experienced faculty alike, the Faculty Senate endeavors to advance the culture and prestige of the University.